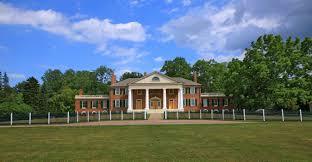 Join us for a beautiful autumn day trip to James Madison’s Montpelier in honor of Dolley Madison’s 250th year. Greensboro History Museum Inc. is chartering a motor coach for a day trip to Dolley’s home of two decades. It’s a great chance to take in some history with fellow museum supporters. Tickets are $100 per person, which includes comfortable transportation and admission to Montpelier. Lunch and dinner are on your own. This trip is open to all. Click here to reserve tickets online or call 336-373-2982.